What is the ultimate flexibility your business can have? This multi-chain solution ensures retailers take well-informed decisions from actionable business intelligence reports. Retailers can operate centralized promotions & offers, stock transfer advice from HO, supply chain management, HQ controlled activities, effective CRM modules and more. 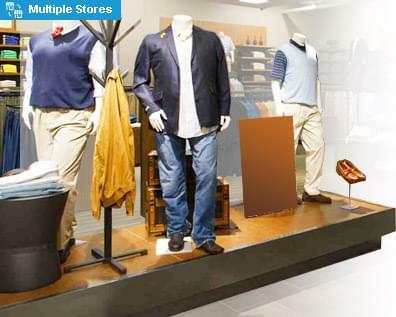 Franchise retail management software to increase customer retention, manage multiple garment shops, clothing stores, textile showrooms, footwear chain stores with 100% control over inventory. Advanced inventory management & warehouse management software for multi-stores. Download the Apparel Free Multichain POS software for 30 day trial.